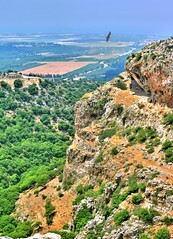 In the far north of Israel is the Upper Galilee region. Incredibly popular with Israeli’s escaping from the city, the Upper Galilee has everything from skiing at Mount Hermon to ancient ruins, nature reserves to Biblical sites, and beauty like you can’t imagine. With quaint rural communities in the hills and valleys, overlooking nature reserves and beauty spots such as the Hula Valley, the Upper Galilee is a breathtaking and inherently relaxing place. 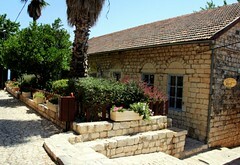 Rosh Pina is a small town with a rural feel located in the Upper Galilee. One of the first settlements in Israel, the houses in the old town have been restored whilst the main streets have country style accommodation and restaurants. The town is said to count Madonna, a devout Kabbalist as a resident with her owning a property due to its proximity to the city of Safed, the global center of Kabbalah, the mystical Jewish beliefs. Safed has a beautiful Old City with a famous artists quarter and large numbers of synagogues and schools of Kabbalah in this dramatic setting. Nearby hills such as Mount Arbel provide many opportunities for outdoor pursuits. The Hula Valley is a drained swampland centered around a large lake and nature reserve. Whilst you can see fauna and flora of various varieties here, as well as museum displays abuout the area, walking and biking here is magical and fun for all. Bird watching is also very popular here with Israel a major migratory route for birds. It was named in 2009 as one of the top places in the world to see nature by BBC Nature Magazine. Mount Hermon is Israel’s tallest mountain-peak, straddling the border between the Upper Galilee and Golan Heights. It is also Israel’s only winter ski resort and attracts thousands of Israelis during the winter months who flood here for the snow, but remains open year round with amazing hikes and mountain biking in the warmer months). Another unique experience in the Upper Galilee can be found on a unique river – the River Jordan. Whilst south of the Sea of Galilee there are baptismal points favored with Christian pilgrims from around the world, in the Upper Galilee, the river is a narrower, steeper, and faster river (it loses a lot of water when it enters the Sea of Galilee). 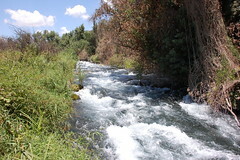 A number of kibbutzim on the Jordan River take advantage of this running centers from where kayaks (more like rubber inflatable rafts) can be hired. The fast currents of the river make kayaking on the River Jordan a really enjoyable and cool way to spend an afternoon. The Upper Galilee is also a great place to hike in Israel with loads of trails for all levels of ability. There are also loads of places to bike in the Upper Galilee, and other amazing experiences such as horse riding, and jeep tours in the Galilee. Rosh Pina in the Upper Galilee is the real heart-land of the zimmer. There are many tens of zimmers in Rosh Pina and the surrounding area to choose from. These quaint bed and breakfast style accommodations run by families, the zimmer is a great option if you are staying in the region. Alternatively, there are a number of spas in the Upper Galilee, and regular hotels, particularly in Safed.